As almost everyone knows, Minnesota is blessed with having an abundance of lakes and rivers. In the heart of lake country is the town of Brainerd, Minnesota. Brainerd is the name that everyone knows, but on the fringe there are many small towns such as Nisswa, Lake Shore, Pillager, Baxter, Merrifield, Garrison, Cross Lake and others. 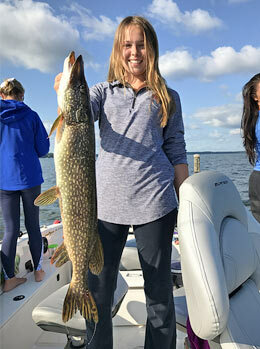 Intermingled in these towns are many awesome fishing lakes such as The Gull lake Chain, Pelican Lake, The Whitefish Chain, North Long Lake, Round Lake, Lake Mille Lacs, Cullen Lakes, Lake Hubert, Gladstone, Perch, White Sand, Lake Edward, Sylvan and hundreds of other quality fishing lakes. 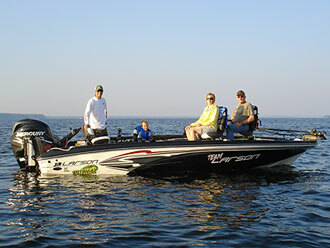 We don’t only guide on these Brainerd Area Lakes, we will head to where the “hot bite” is currently happening. Leech Lake, Cass Lake, Winni, Upper Red Lake, Bemidji, Ten Mile, Pine Mountain are some of the other lakes in our arsenal. 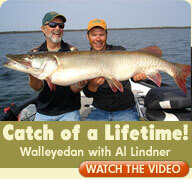 We like to catch fish as much as you do and it’s not just our hobby…it’s our profession. 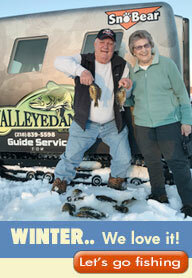 If you would like to make a family fishing outing that’s great. If you are wondering what to do with your business, fishing is a great team builder. We have had many of the big corporations out on the water and they have come back year after year. If you would like to just get away with the “girls” or “guys”, we will set you up. We hope you chose us for your next fishing trip. I’ve managed to convince my wife that somewhere in the Bible it says, ‘Man cannot have too many shotguns and fishing poles’.